I was wondering what this beautiful building used for whenever I passed by Hill Street. Last Sunday I decided to check it out. 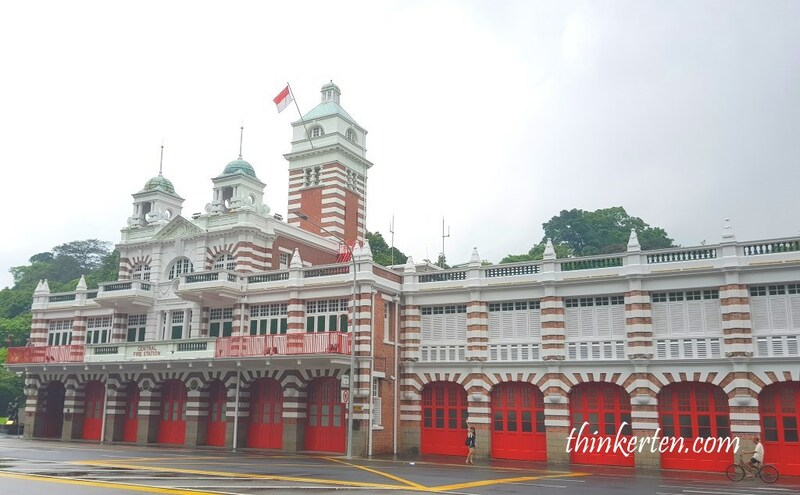 This building is the Central Fire Station, also known as the Hill Street Fire Station, is Singapore’s oldest surviving fire station. Good thing about this museum is free for both local and foreign visitors. 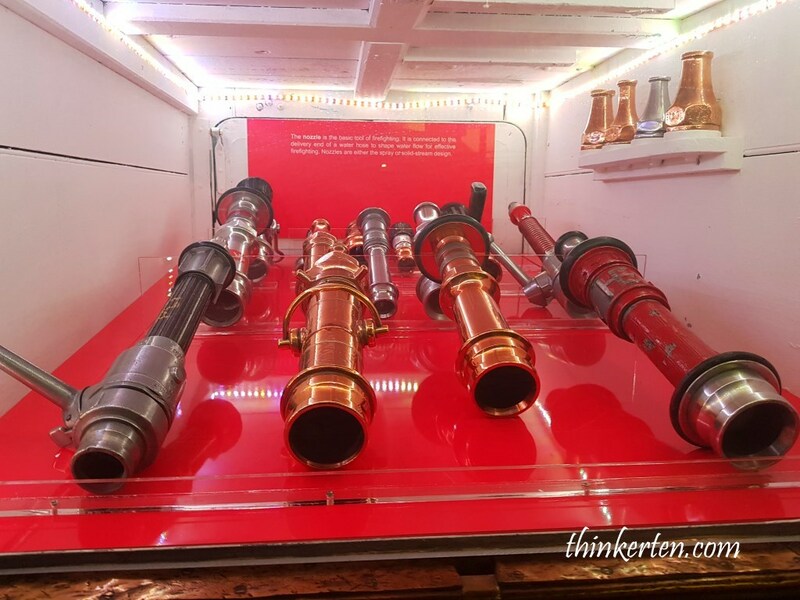 The museum is small but it has some interesting displays about the fire brigade service from its creation to present day. 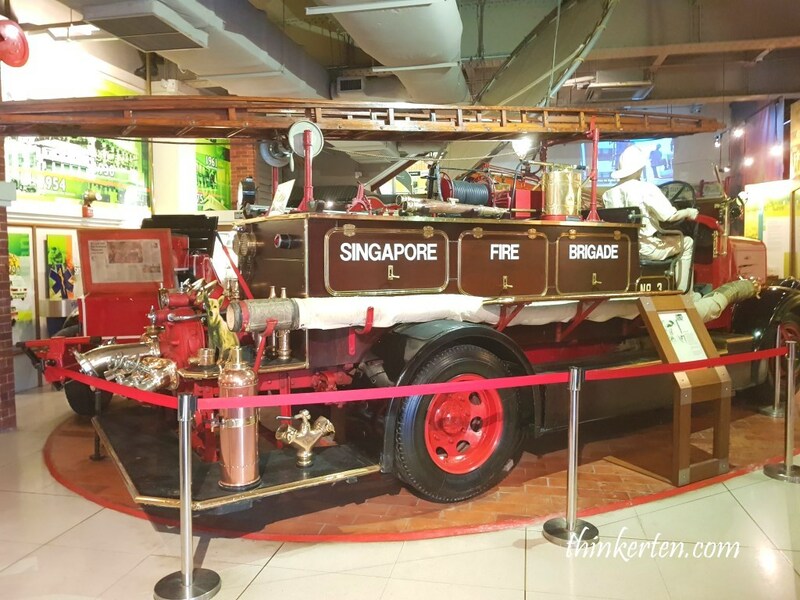 It has some huge antique fire brigades and many artifacts displayed around both in first and second floor. If you have younger children, especially young boys, this is really a great place for them to explore. 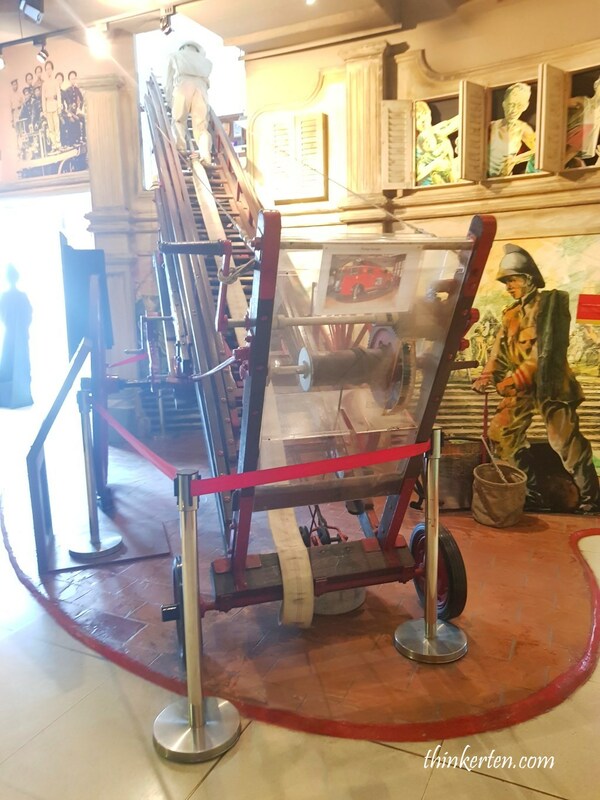 The museum has different types of fire engines and also provide interactive station and activities which allow visitors to experience what firefighter went through. Young children can even pretend to be the firefighter and children firefighter uniforms and helmets are provide, let the children live in the make-believe firefighter world. 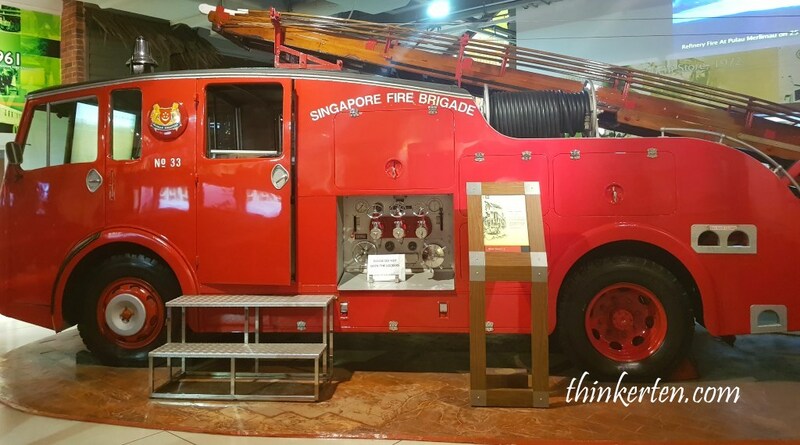 There is one fire-engine (picture above) which you can climb up and sit inside, an old video that shows a race through the streets of olden Singapore to the scene of a fire. 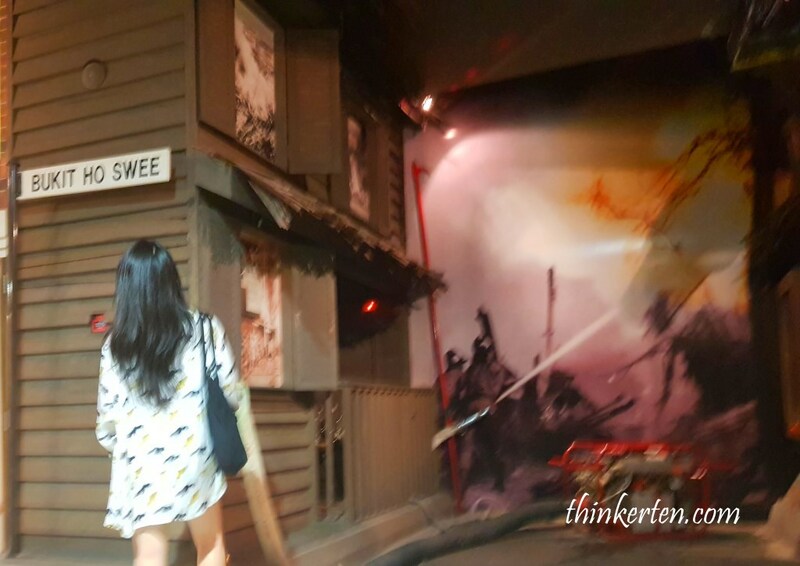 The museum also has a small corner to display Singapore’ biggest fires occurred in Bukit Ho Swee in 1961. That horrifying fire razed a 100-acre area including a school, shops, factories and wooden and attap houses, leaving some 16,000 kampong dwellers homeless. Different size of nozzle are displayed, big and small. The nozzle is the basic of firefighting. It is connected to the delivery end of a water hose. 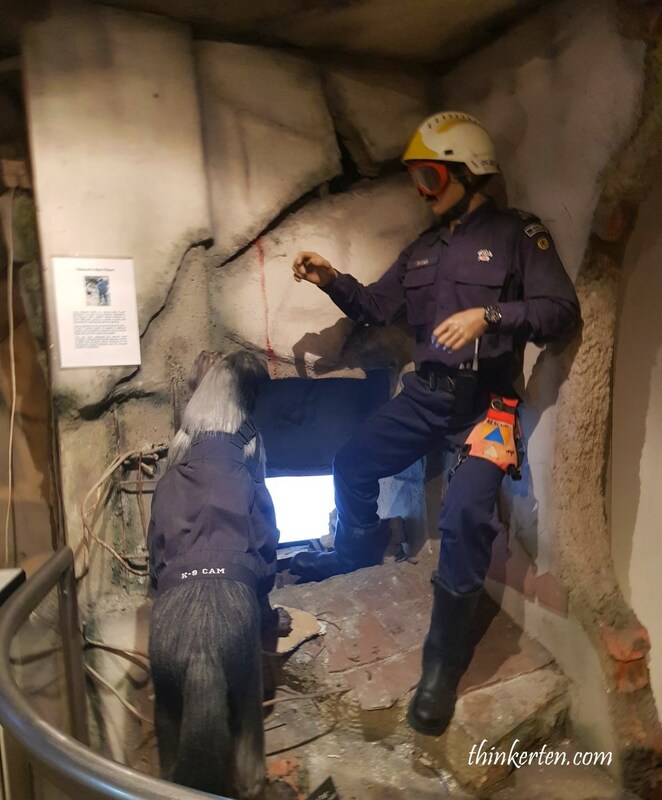 Another section showing rescue workers at a collapse site, it should be the Hotel New World collapse, the worst disasters in post-war Singapore. The collapse was due to structural defects and poor quality construction, resulting 33 people dead. What caught my attention next was A K-9 dog wearing a rescue vest installed with K-9 cam. K-9 also known as police dog, pretty intelligent and specifically trained to assist police duties. In this case, the K-9 dog will help to locate the missing people hidden under the rubble. I hope to train my dog to be K-9 too 🙂 but I think he is too cute to be K-9. 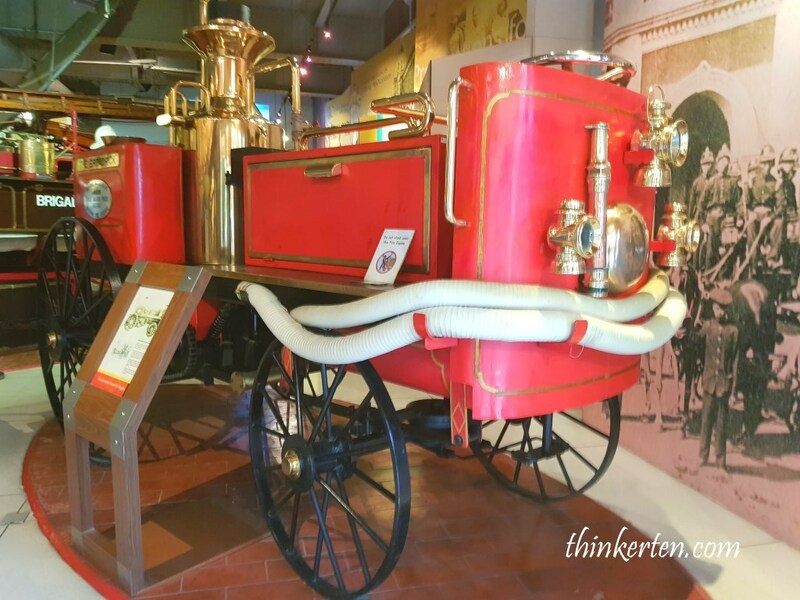 Singapore did not have a proper fire brigade until the late 1800s; the early brigades had consisted of volunteers, convicts, policemen and soldiers. The first built station was simply temporary sheds to house the horse-drawn engines. 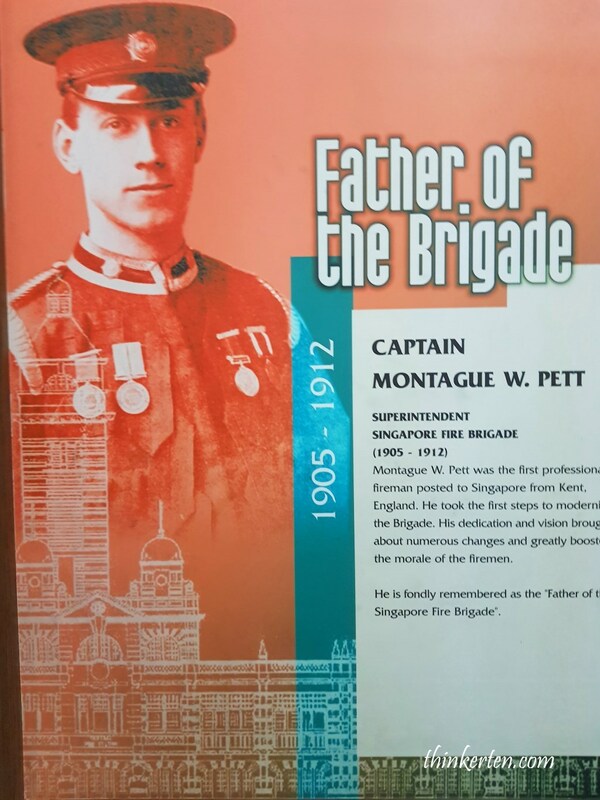 It was not until the arrival of Montague Willian Pett that big changes were made. 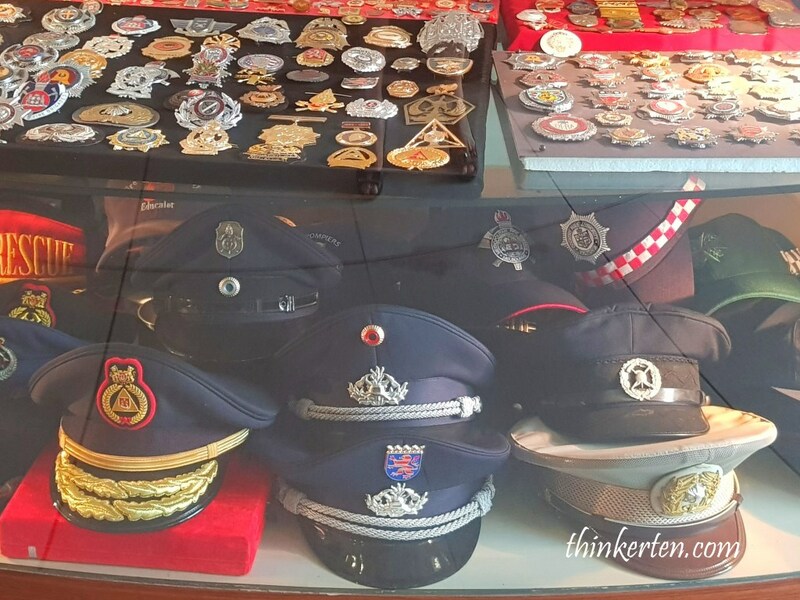 There is a little souvenirs shops outside the gallery museum, you can take a look at the interesting and colorful badges and various officers peak caps. 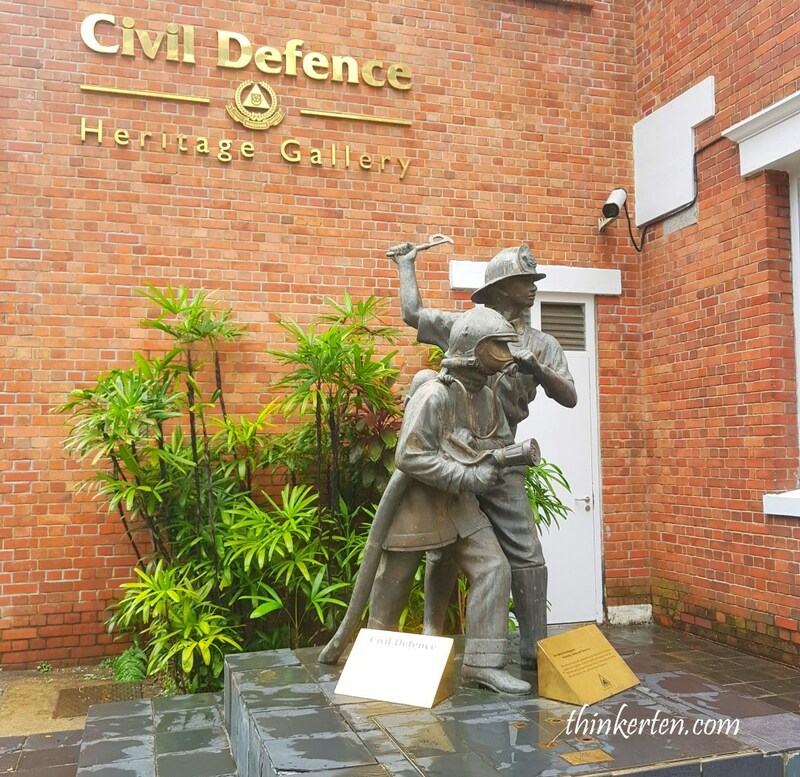 This building was granted national monument status in 1998 in recognition of its significance in Singapore’s history. Opening Hours: 10am to 5pm (Tuesdays to Sundays). Closed on Mondays.